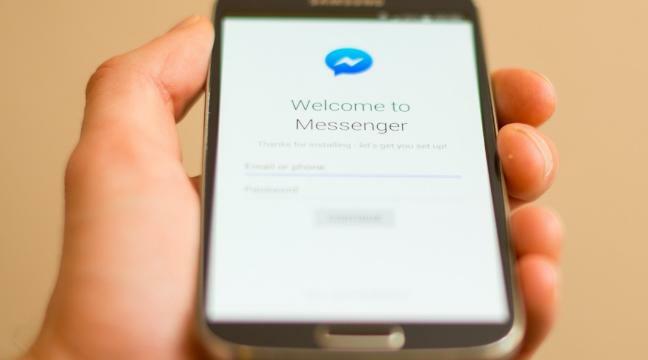 As far as messaging apps are concerned, Facebook’s Messenger is rather standard; it lets you send and receive messages, photos and videos, make phone calls, and has all the other features you’d expect from such an app. But sometimes a friend takes too long to reply, or the conversation has turned rather dull. Have you ever wished that you could play a basketball mini-game during those occasions? Because if you have, Facebook Messenger has made it come true. The social network has hidden once again a mini-game inside its Messenger app just in time to celebrate this year’s edition of the annual NCAA college basketball tournament – endearingly known as March Madness. Remember Floppy Bird? The game app that caused users to crash their smartphones’ screens in frustration? That’s what this basketball game is aiming for, and it might be succeeding. Don’t start playing unless you fancy spending the remaining workday tapping mindlessly on your device. If you’ve decided you do want to play the game, all you have to do is open up a chat with a friend and send the little basketball emoji. Note that the mini-game is only available if you’ve updated the app. If you don’t have the app downloaded yet, head on over to the iTunes App Store or Google Play for the download. You’ll basically be playing hoops, and for every ball that hits the target, you’ll be rewarded with all kinds of happy emoji: the thumbs up, the raised hands, the tensed bicep – in one word, the classics. If you miss, the mini-game will give you the sad options. There’s more to the game; every 10 points you gain, it gets more complicated. For example, after the first 10 points, the hoop starts moving left and right so you need to find the right timing to shoot the ball. At 20 points, the game speeds up considerably, but anything further than that, you need to discover on your own. (Hint: we haven’t reached that far yet.) In theory, the game shouldn’t pose any problems, but like we said, it is insanely addictive. The main idea is to get a high score and then your friend will try to beat it, and then it’s your turn to out-do them and so on. If basketball is not your thing, you can try the secret chess mini-game introduced by Facebook Messenger late last year. Playing chess is activated when you type and send @fbchess in chat.